Welcome to Free Coloring Daily! Thank you for visiting today, enjoy this coloring page! Coloring is a great way to relax, have fun and be creative. Colored pencils, crayons, markers or anything you have work well for coloring. You can download the image above and print as many times as you like to try different color combinations, styles and more. 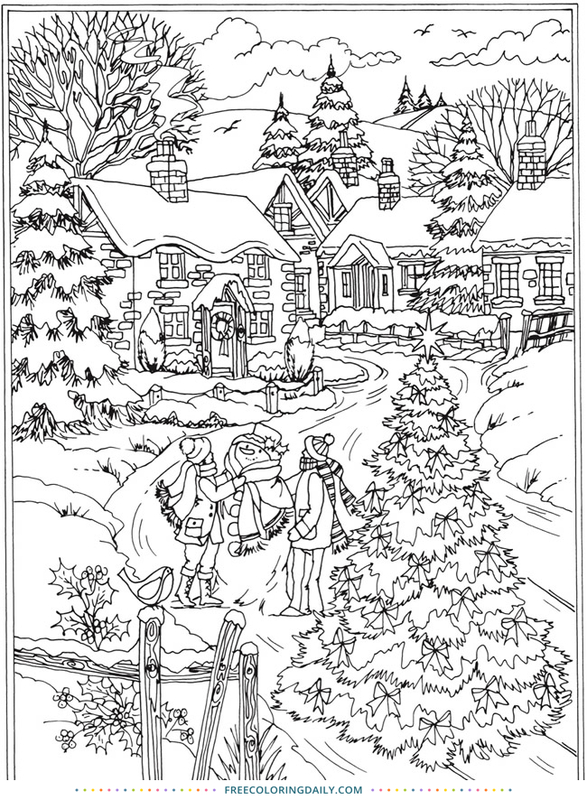 Get ready for the holidays with this Free Christmastime Coloring sheet. Have fun, relax and enjoy your coloring time!